Mini Infrared Stealth Lipstick/Bullet Cameras! 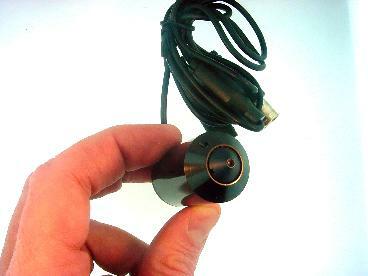 We now sell self contained miniature B&W infrared cameras with an IR lens permanently installed. 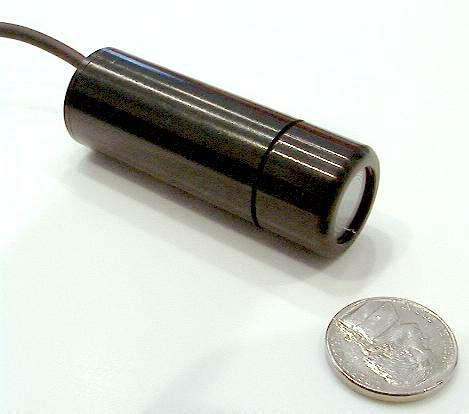 Camera is inside a small, Lipstick sized tube 2.5 inches long x 0.8125 inches diameter. Power supply required is 9-12 VDC regulated. 0.1 Lux, >512 lines resolution. 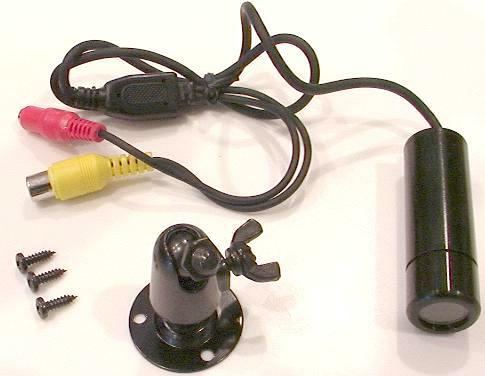 Included with the camera is a permanent swiveling mounting bracket, mounting screws, and integral power and video connectors. We do not recommend using transformer "Wall-Wart" power supplies because the transformer based power supplies can surge and damage the electronics in the camera. 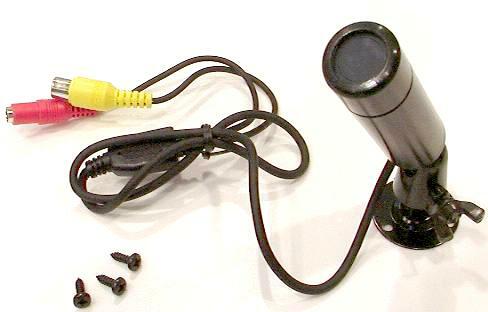 If you damage the camera by using an improper power supply, then camera cannot be repaired or replaced. Please use our XCamPS1100 Switching Power Supply on our bullet cameras. The IR bullet camera may exhibit a slight vignette (cutting off at the corners). This is caused by the design of some camera and the relationship of the camera lens to the filter. Standard or High Quality (HQ) Option. HQ cameras have better sensors, more lines of resolution, higher sensitivity and locking BNC video connectors instead of RCA plugs..
We COLOR bullet cameras without the IR capabilities. Great for helmet cams, security, baby monitors, extreme portability, etc. Small, weather resistant and durable. XNite PInhole B&W bullet camera. You only need a 2.5mm or 0.10 inch hole for camera lens. Please see more information on IR Filters and FAQ's here.